School Bus Safety - DiVal Safety Equipment, Inc. - Welcome to the DiVal Dispatch - Your Source For Safety News & Updates! Although it's a given that you have to pay attention while driving, the beginning of the school year brings with it a different set of circumstances. Some schools are already back in session which means buses are out on the roads; and roads will become more congested before and after school hours, which are also major general commute times. If the buses red lights are flashing, YOU MUST STOP. It's the law! This includes school buses that are on the opposite sides of divided highways, on multiple lane roadways, in parking lots or on school grounds. 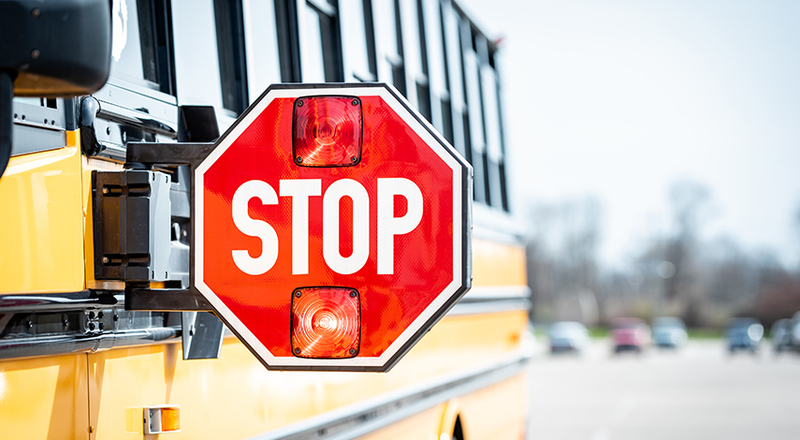 Always stop for a school bus with flashing red lights and the stop arm extended. When approaching a school bus with yellow flashing lights, the best thing to do is to stop unless the bus driver waves you through.